At the Piatchek Law Firm, our attorneys offer the experience and compassion necessary to achieve the best possible outcome for clients facing drug and alcohol charges, specifically driving while intoxicated (DWI) and driving under the influence (DUI) charges. Missouri law is very specific and complex concerning DWI and DUI offenses. The outcomes of such court cases will affect the defendants for the rest of their lives, so it is crucial that they enter the courtroom with the best defense possible. Having an attorney on your side that you can trust to aggressively defend your case should be your first priority upon being charged with a DWI offense. That’s where we come in. Although our attorneys cannot change what has already happened, we will fight to ensure the best possible future for our clients, protecting their rights and negotiating a positive outcome that allows for a second chance. With years of experience taking DWI cases to the courtroom, our attorneys can offer you the straight advice that you need to make an informed decision regarding your case. We work closely with our clients, keeping them involved in the decision-making process and carefully assessing all possible options and scenarios in which our client’s case may play out. 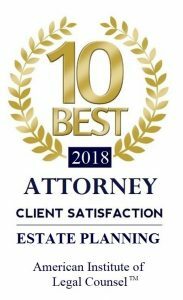 Rest assured that when working with one of our experienced and capable attorneys, you won’t have to sacrifice quality of service for affordability. We don’t believe in being paid for work we haven’t done, so if you choose to accept a plea bargain, you will be charged fairly and appropriately. It is illegal to operate a motorized vehicle while intoxicated or drugged. What can be simplified down to “don’t drink and drive” is actually much more complicated in the courtroom. What exactly does it mean to be “operating” a vehicle? What is and is not considered a “motorized” vehicle? What does the court consider a “drugged state?” The punishments for a DWI/DUI conviction are contingent upon a host of variables, including prior criminal convictions, where you were arrested, and unfortunately, more often than not, how good your attorney is at protecting your rights. The first DWI offense for someone without a previous criminal record is a Class B Misdemeanor. An arrest also strikes 8 points against an individual’s driving record, resulting in a suspended driver’s license. A first-time offender can also incur a jail sentence ranging from 1 day to 6 months and up to a $500 fine. Refusing the breathalyzer test may result in immediate arrest and the revocation of the defendant’s driver’s license. If you know you are going to pass, it may be a better idea to just take the breathalyzer test. When your case comes to court, the officer will likely state that you refused the test, and the prosecution may assume that you refused to take it because you knew you wouldn’t pass. If you think you’ll pass, it would be theoretically best to blow and have the proof. During this stressful time in your life, the last thing you should have to worry about is choosing an attorney. Our proven record of success and customer service makes Piatchek the go-to law firm for DWI/DUI criminal defense in Springfield, Missouri. If you are facing DWI/DWI charges, call the attorneys at the Piatchek Law Firm right away at 417-882-5858 to schedule a complimentary consultation.